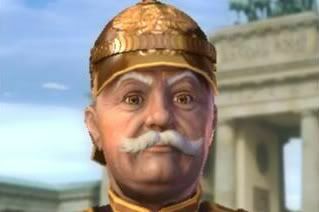 Discussion in 'Civ4 Strategy Articles' started by Kaitzilla, Oct 23, 2012. You are reading the 1st issue of "Civ illustrated"! The Team decided to cover a topic that, following our own judgement, isn't very well covered yet. 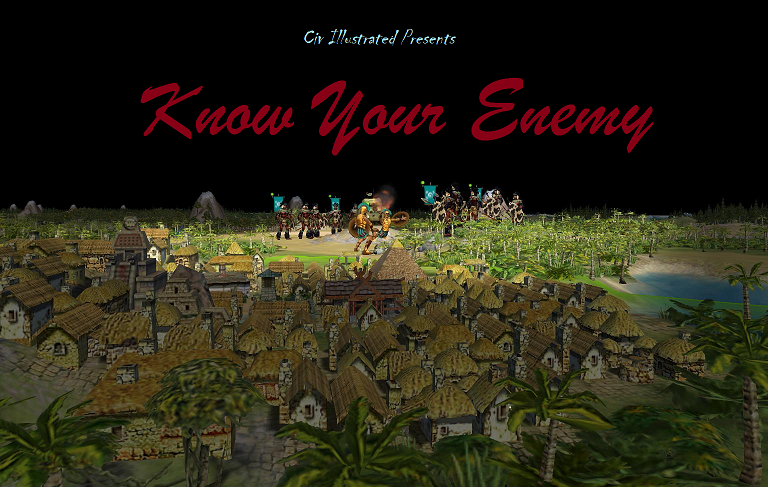 The issue is called "Know your enemy" quoting the famous Sun Tzu. This issue covers the different civilizations when they are played by an AI. Every leader of every nation in Beyond the Sword is going to be covered, giving you all the valuable information you need to understand that specific AI. After having read this issue, you will not only be able to understand why a specific AI acts a certain way or why it does certain things, you'll be able to predict its behavior. You'll know why AI X is often stronger than AI Y, you'll learn new things on diplomacy, and you will be able to deal with AI's on a whole different level. Don't read this guide if you enjoy the mysterious AI surprising you! As writing this was a lot of work we did in our free time, we hope that you leave your feedback and that you rate our work via the "Rate Thread" function you'll find in the upper right corner of this post. We're glad if we could provoke some interest in you. Enjoy reading our 1st issue! SittinDown, Anysense, Imploding and 2 others like this. 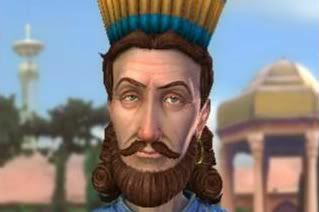 This whole guide is intended to describe the most important parts of the 52 AI's behavior in Civ 4 - Beyond the Sword. It aims to be a tool most useful to veteran players who want to make that jump to Emperor/Immortal/Deity. It is also intended as an all-in-one reference for each AI that can be linked in other forum threads as a resource. This section of the guide "Understanding the Guide Correctly" is meant to explain what information is 100% valid, what info is a rule of thumb, and what remaining info is valid under what conditions. For example, you will see Montezuma rated 0/10 builds wonders and think "Hey, I've seen him build wonders before!" This section will explain what the rating actually means. All AI behavior originates in the game code that most people call "Leaderhead Info." It is here that all the personality values of the AI are stored in number form that makes all the leaders act differently from one another. It might vary a little based on what version of windows or other operation system you are using, but it should be in the program files on your C drive somewhere unless you installed Civ 4 on another drive. 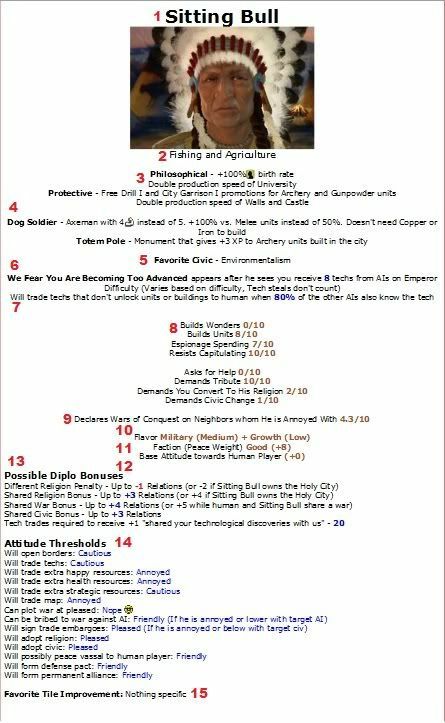 Over the years, multiple Civilization Fanatics Center users have kindheartedly transcribed all this info into spreadsheets and posted it onto the forums. DanF5771 made a visually amazing spreadsheet at one point and forum member Kossin bundled it along with a few other tools here. Another rival spreadsheet is located here. 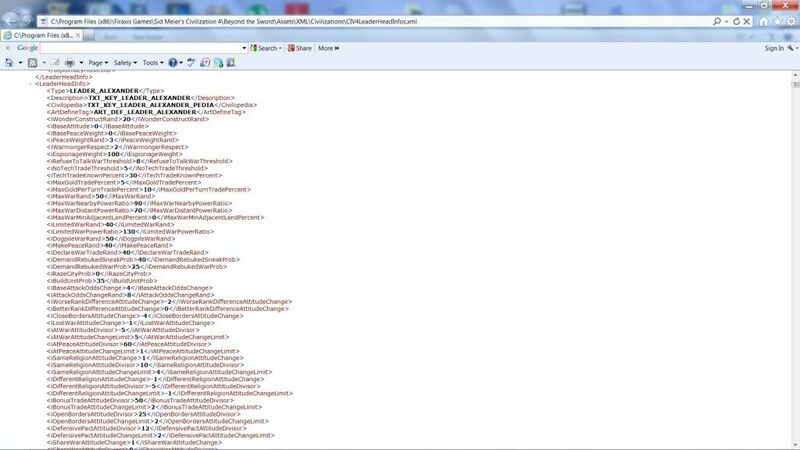 Doubtless there are more Leaderhead Info spreadsheets floating around the forum. If you don't own Microsoft Excel because it costs $100, then download OpenOffice for free off the internet to view these spreadsheets and not miss out! The Leaderhead spreadsheets are great, but not everyone instinctively understands what iunitbuildprob=30 or ask_for_help=100 actually means. Is 100 a lot or a little? In 2007, a group headed by dj anion translated this info into an easier form with a comprehensive guide here. Members of Civ Illustrated became aware of this effort at various points of this project. We are determined to push on with a forum-only version of our own leaders' guide to put into the Strategy Section. So enjoy dj anion's guide if you think it is superior, but we hope ours has a place as well! Someone also attempted to explain every game mechanic in Civ 4 here. Good stuff if you wonder why sometimes your warrior gets 3xp and other times only 1xp from winning a battle. 97% of the information in the Civ Illustrated guide was gathered from the DanF5771 Spreadsheet, Deals.pdf, and Attitude Increases.pdf located here. 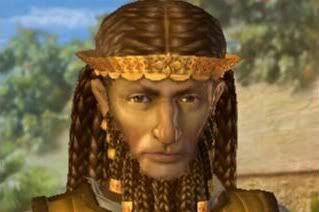 Civ 4 modders elsewhere on these forums created a wiki to explain Leaderhead Info terms here. 2) Starting Techs: If an AI starts with Hunting, they will have a scout instead of a warrior. If an AI starts with Mysticism, expect them to found an early religion. 5) Favorite Civic: An AI will almost always change to this civic within 5 to 20 turns of getting the unlocking tech. 6) We Fear You Are Becoming Too Advanced (WFYABTA): This information should be considered mostly accurate. It is the number of techs you receive from AIs in trades before they will stop trading with you. So if you have met 4 civs, and get Fishing and Archery by trading away Alphabet, then your WFYABTA counter increases by 2 for the 4 civs you've met. Any unmet civs will not count. The entire process is explained in detail here. In the DanF spreadsheet, WFYABTA is governed by the value iNoTechTradeThreshold. This value is modified by the difficulty you are playing using the iNoTechTradeModifier found here. If the base value is iNoTechTradeThreshold=5, then on Emperor this value is increased by 40% and becomes 7. Exceeding this value by making one more trade results in the dreaded "We Fear You Are Becoming Too Advanced" message appearing, so the Civ Illustrated guide adds this for the reader and reports the final value on Emperor difficulty to be 8. Thus 5 becomes (5*1.4)+1=8, 10 becomes (10*1.4)+1=15, 15 becomes (15*1.4)+1=22, and 20 becomes (20*1.4)+1=29. On Deity the iNoTechTradeThreshold=5 civ will say "We Fear You Are Becoming Too Advanced" after you have received 7 techs and on Prince the civ will say it after you receive the 9th tech due to the different handicaps. Of course, WFYABTA isn't precisely so simple! Once you have received a tech, there is a 5% chance each turn that the AI will "forget" that you did so and reduce the counter by 1. This is governed by the MemDecays spreadhsheet value Received_Tech_From_Any=20. So every 20 turns after doing some tech trading your WFTYHBTA limit should effectively increase by one! No idea if this scales to Marathon or Quick speed, but the game needs a little mystery anyway. There are three ways to continue trading with an AI once they begin telling you "We Fear You Are Becoming Too Advanced"
The first is for both the AI and yourself to be in the bottom half of the scoreboard (includes dead civs). If you steal a tech from an AI with spies and it increases your own score so that you move into the top half of the scoreboard, that will end this loophole unless you can lower your score again. This strange mechanic involving the scoreboard might make you think that stealing techs counts towards the WFYABTA limit, but it does not! The second way to continue trading with a civ after WFYABTA is reached besides both of you having terrible scores is to reach Friendly with the target civ. Friendly civs will always trade techs to you . This can become a problem later if you pick up a vassal. 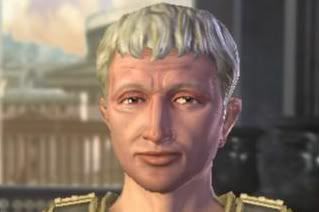 Other civs consider their status with you to be the combined diplo rating of you and your vassal. 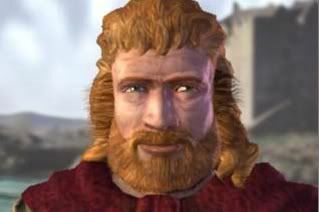 So if you are Friendly with Brennus but Brennus is Annoyed with your vassal, then Brennus will most likely secretly be (Friendly+Annoyed)= Pleased with you and will show you the WFYABTA message even though you think you are Friendly with him. The third way is to take the target civ as a vassal and tell them "Why don't you research x" and then research something else and trade it with them once they finish. Stealing techs works too but is not considered trading. "We'd rather win the game" or "We don't want to start trading this right now" or "We have our reasons" are different messages with different meanings and have nothing to do with WFYABTA. 7) Will trade techs that __% of the other AI know describes the message "We don't want to start trading this right now." This is governed by the spreadsheet value iTechTradeKnownPercent. It should be considered a rule of thumb and not accurate info. iTechTradeKnownPercent is only the beginning of the calculation of whether the AI will tell you "We don't want to start trading this right now." Mansa has a value of 0 and will always trade monopoly techs to the player. Tokugawa has a value of 100 and will only trade techs when every other AI that he has met knows it first. Between these extremes, AIs will trade the tech to you after calculating what units it unlocks compared to the strongest land unit in the game, what buildings it unlocks (even the unique ones! ), and what uncompleted wonders it unlocks. These various values modify iTechTradeKnownPercent greatly and confuse the final answer. Perhaps someday someone will unravel the mystery in totality. DanF5771 gave a good stab at it here. Silu also took a swing at it here. Construction unlocks so many units and buildings that almost all the civs have to know the tech before they will trade it to you. 8) The eight 0 to 10 rankings rank the various civs using a relative scale based on whole numbers. 0/10 Builds Wonders for Sitting Bull does not mean that he never builds wonders. 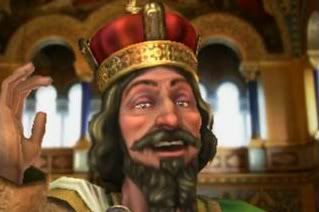 It means that, compared to all the other civs, he is least likely to build wonders. 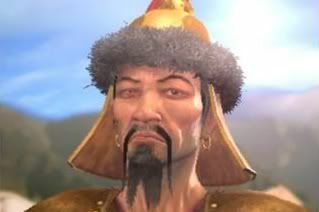 Genghis Khan having 10/10 Makes Demands doesn't mean he will pester you every turn to hand over the gold, but he will do it more often than the rest of the civs. 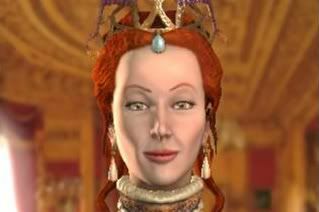 It is hoped that with experience, players will begin to understand the various extremes like Isabella (10/10 Convert Religion) and fill in the meaning of the 5/10 civs intuitively. Builds Wonders is fairly straightforward. The higher the value, the more likely a civ will choose to build a wonder. Based off of iWonderConstructRand. Builds Units is also straightforward. The higher the value, the more likely a civ will choose to build units. Based off of iBuildUnitProb. Espionage Spending is how many resources a civ tends to spend on building spies, espionage buildings, and the espionage slider. Based off of iEspionageWeight. Resists Capitulating is a bit more complicated. Our guide based this off of iVassalPowerModifier which describes how much more powerful the player must be than the AI before it will capitulate. The number of turns before an AI will talk peace should probably also have been included (iRefuseToTalkWarThreshold), but it was deemed to not be as important and avoided another complicated composite rating. The other factor in capitulation besides power is war success. 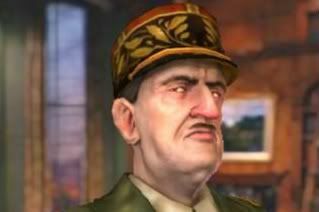 You need a war success score of +40 before a civ will capitulate along with the required power ratio. War success is explained here. A more complicated capitulation calculation is performed here. 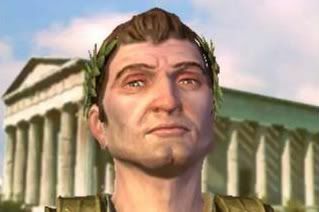 Asks for Help is when a civ is pleased or friendly with you and asks for a tech, gold, or a resource. Based off of Ask_For_Help. Makes Demands is when a civ is cautious, annoyed, or furious with you and demands that you give them a tech, gold, or a resource. Based off of Demands_Tribute. Demands to join their war or to stop trading with someone(embargo) wasn't rated as all AIs have the same rating except for (Catherine, Elizabeth, Kublai, Saladan, Suryavarman) who ask you to join their wars a bit more frequently. Demands you Convert is when an AI spreads their religion to one of you cities and demands you switch to their religion. Based off of Religion_Pressure. Demands Civic Change is when an AI demands that you change your civic to match theirs. Based off of Civic_Pressure. 9) Declares Wars of Conquest on Neighbors whom they are annoyed with is an overall measure of how often a civ goes to war. It is a composite rating and should have been from 0 to 100 but was kept to 0 to 10 with the help of decimals. The decimals do not signify fine enough data to justify that level of confidence and was mostly for aesthetic purposes, so please treat the war rating as a rough estimate. There are 3 kinds of war that the AI wages in Civ 4 as shown here. They are Total War(Max War), Limited War, and Dogpile War. Each AI has a separate rating and desire for each of these types of war. These ratings are located in the WarVals section of the LeaderHead Info spreadsheet. 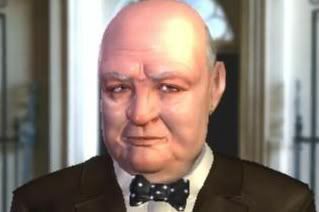 Rather than have 3 separate war ratings for each civ, it was decided by members of Civ Illustrated that the average user would not be able to tell the difference between what type of war an AI was waging. So the most important type of war was selected, the kind the AI wages when it wants to conquer you, Total War! From this guide, we see that the base chance per turn that an AI will decide to go to total war with somebody is (100/iMaxWarRand). Gandhi has a 0.25% base chance each turn and Ragnar, Montezuma, Alexander, etc. has a 2% chance each turn. If DanF's war decision tree is a bit hard to read, try Smurkz's explanation. As you can see, the rating is already getting controversial! Notice that the higher the % chance to go to war each turn rises, the 0 to 10 scale becomes less and less responsive. The 10/10 civs are twice as likely to go to war as an 8.6/10 civ. Unfortunately, this will get worse as 2 more factors were included to account for power ratios. It turns out that if you study DanF's war decision tree closely, there is a power rating threshold beyond which civs will not attack you because you are too strong. In general, you are safe from attack if you are more than twice as strong as any other civ on the power graph no matter what the diplomatic situation is. This of course only applies until civs start getting vassals and you aren't playing with Aggressive AI turned on. Most high level players might discount this factor in favor of focusing on diplomacy because it is easier to chase nowarprobs at the start than to maintain twice the strength of any AI, but it still plays a factor in how warlike the AI are towards each other. There are two power ratio thresholds for Total Wars and they are iMaxWarNearbyPowerRatio and iMaxWarDistantPowerRatio. It was decided to use the nearby power ratio as AIs tend to attack civs that they border more often than distant civs. These final adjustments yield the two most warlike civs as Montezuma(35/130) at 13/10 rating and Ragnar(40/110) at 12.8/10 rating. 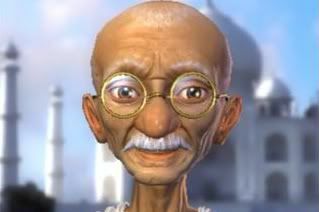 Gandhi(15/100) is the most peaceful civ at -4.6/10 rating. All 52 leader ratings were normalized back to a 0 to 10 scale by adding 4.6 to each rating and dividing by 17.6. People might argue that iunitbuildprob shouldn't affect the composite rating by +/- 2.5 or that nearby power ratios shouldn't affect it by +/- 1.5.
were placed next to the true warmongers, the few with iMaxWarRand=50 or a 2% chance each turn to begin plotting war. 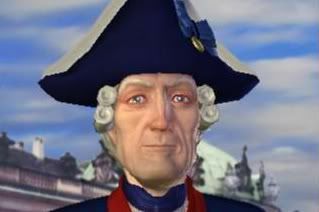 Napoleon raises eyebrows with a 9.1/10 even though his base chance is 1% each turn. His massive army and willingness to go to war with those stronger than him makes up for such a deficit. Tokugawa, Gilgamesh, Brennus, and Peter all appear to be comfortably ranked above 7/10 and many consider them warmongers too. Thus, this composite rating appears to be a good rating of how bloodthirsty a civ is on the surface . There are many factors that determine what technology a civ will pursue such as a random variable, a free tech or free great person (massive influence! ), unlocks a religion(bigger factor if favorite), unlocks a unit, unlocks a wonder, unlocks a civic(bigger factor if favorite), the strategy the AI is pursuing, planning a war etc. It is thought that the flavor of the AI affects the tech choice perhaps 33% of the time. All the techs in the game with the various flavors can be found here. All the calculated values for the various AI based off their flavors and the flavors of the techs can be found here. Just looking at those results, it becomes apparent that Joao, Lincoln, Peter, and Tokugawa like Education more than the rest of the AI and are more likely to tech it. Running through a calculation: Hatshepsut has religion flavor of 2(Low) and culture flavor of 5(Medium). Aesthetics has religion flavor of 2, science flavor of 6, and culture flavor of 8. So Hatshepsut calculates Aesthetics to have a value of 2*2+5*8=44. Mathematics has gold flavor of 2, production flavor of 1, military flavor of 1, and science flavor of 10. So Hatshepsut calculated Mathematics to have a value of 0. She will tend to tech Aesthetics before Mathematics. Since flavors only influence what techs are researched to a limited degree, the usefulness on this info isn't as great as it could be. However, there is no denying that on average Isabella techs religions and Genghis Khan goes after Military Tradition, Rifling, and Artillery when they get the chance. 11) Factions (Peace Weight) is how the AI tend to divide themselves up. Low peace weights tend to be warmongers(but not always! ), high peace weights tend to be pacifists, and the ones in the middle fall inbetween. The greater the difference in peace weights, the more the AIs hate each other. And the more they hate each other, the more they declare war on each other . For our guide, we've divided up the peace weights into 0-2(Bad), 3-7(Neutral), and 8-10(Good). This results in the goods and the bads tending to go to war with each other more often with the neutrals choosing sides. If you want a mostly peaceful game, choose AIs with all high peace weights! 12) Base Attitude is how an AI starts off viewing everyone else. This is important to the player because it determines how fast you can get to pleased and friendly. Normally Furious is -10 or below, Annoyed is -9 to -3, Cautious is -2 to +2, Pleased is +3 to +9, and Friendly is +10 relations and greater. The attitude an AI secretly starts out towards you with is very important! Tokugawa starts out a -1, so you need around +4 relations with him to get to pleased. 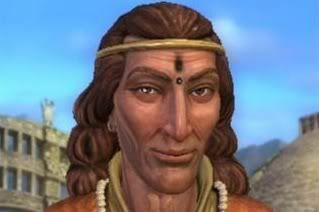 Conversely, Zara Yaqob is secretly +2 with you so you can frequently get to Pleased with him with +1 relations. If you adopt Zara's religion early enough, you can get to Friendly with him at a mere +8 relations very quickly! Attitudes of the AI towards you and other AI is more completely explained here. 13) Possible Diplo Modifiers are all the civ-specific ways you can build or hurt your relations with another AI. Refusing to do what another AI wants tends to result in a -1 penalty, and special cases where this is -2 or 0 is noted in our guide. You might notice a slight difference between our Religion/Shared War/Share Civic values and those in the spreadsheet, but that is due to inherent values built into the game. A heathen will always start out at -1 (or -2 with the holy city) and the spreadsheet value builds from there. Our values are all thoroughly tested and correct. Tech trades required to receive +1 "You have shared your Technology with us" is the number of techs you trade to an AI over the course of the game. Mansa and Peter are notable for only requiring 5 techs before giving this bonus. Due to rounding, the civs who require 7 techs to give the +1 bonus will yield a +3 bonus on the 20th tech instead of the 21st! Much like WFYABTA, this entire process involves the 5% chance of the AI "forgetting" that you traded them a tech each turn so in reality you might have to trade a few extra techs to an AI before getting the bonus. Once the +1 bonus is yours, it will stay put no matter what the AI forgets. All the info was researched manually as it was not available anywhere else on these forums! 14) Attitude Thresholds are the diplomatic relations you must reach with an AI before they will perform a certain action. Please note that unusual cases like Gandhi who is always willing to trade techs doesn't apply if you are his worst enemy. 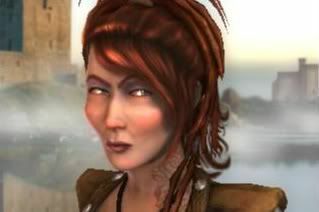 When an AI is annoyed at you, then you are potentially their worst enemy unless they hate somebody else more. So Gandhi will trade techs with you at Furious only if he is more furious with somebody else. Also, a vassal is freed from all attitude thresholds and will do whatever you wish. 15) Favorite Tile Improvement is exactly what it says it is. An AI given a choice will tend to build more of that type of improvement. 16) War Behavior/Annoyance Factor/Analysis/Strategy is a written assessment of each AI written by a member of Civ Illustrated. It is not standardized like parts 1-15 so enjoy the freewheeling writing styles of each. All cities that have never grown to Size 2 will autoraze unless "no city razing" is turned on before the game starts. Genghis Khan tended to barely raze cities Sized 2-4 that were far away from his empire, so city razing was dropped as not important. 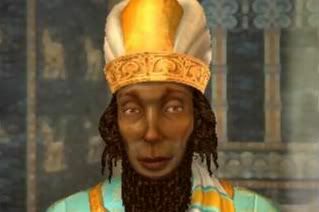 Favorite Units started out with promise as modders were able to influence such behavior here, but it was determined that AIUnitTypes just wasn't a strong enough item in Civ 4 BTS to matter. Missionary spam as a measure of how often a civ creates missionaries was a dead end. No coding seemed to influence the behavior. Perhaps civs that have a religious flavor and a holy city engage in it. Unit Aggressiveness is important but didn't really affect how the human played in tests. Ragnar and Napoleon have the most aggressive units, so be careful stealing their workers and good luck luring them into traps. War decs for refusing demands was tested with 6 Washingtons who have the highest values for engaging in the behavior. There was no noticeable effect. Only one demand refusal resulted in a war 10 turns later out of many. Favorite Religion is a minor factor in teching choice and in the ratio of citizens needed to switch from one religion to another if it involves the civ's favorite religion. Not important enough to include. Special thanks to DanF5771 for his excellent work and to the readers who gave feedback in our Strategy and Tips forum thread. 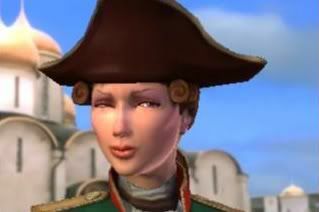 Special Note: Catherine gives a -2 penalty for "Your spy was caught causing trouble!" Immortal - Chariot with 50% bonus vs. Archery units. Receives defensive bonuses too!